Recently our crew took an overnight trip to Bardstown, Kentucky. I got to be a passenger so I was able to take in the scenery. Part of that was checking out all the semi trucks we passed. I noticed that the newer Volvos had engine badges showing the engine model. D13, D16, etc. I started wondering if I could find some Cummins badges for my truck. I found a pair of these on Amazon for about $15. 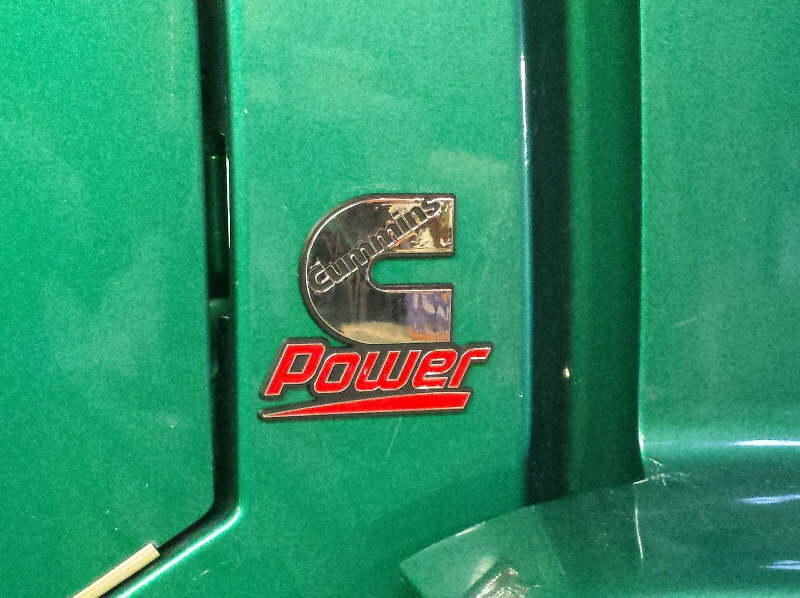 I like the chrome Cummins 'C' and the red contrast with the green truck. They have 3M VHB tape on the back so they shouldn't fall off, and the installation was simple.